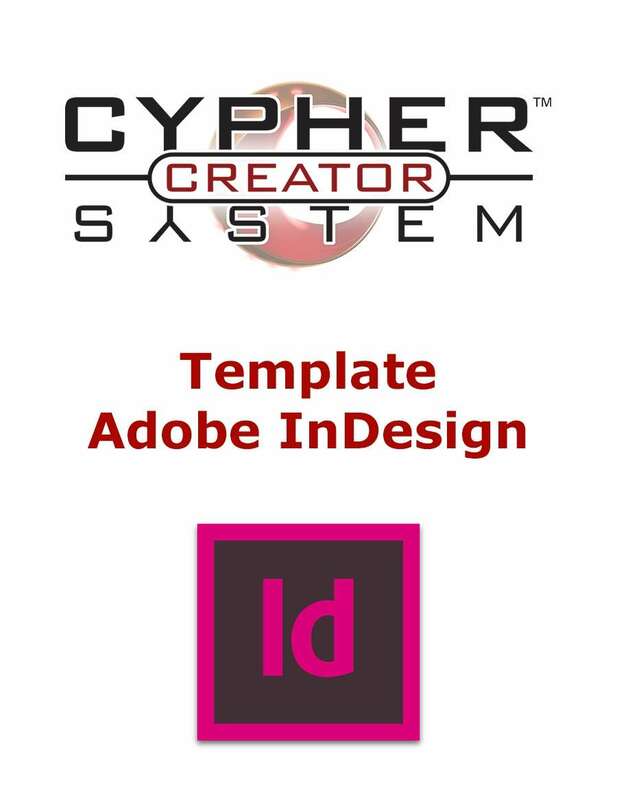 This file includes an InDesign template for Cypher System Creator products. You do not have to use this template, but it's handy and already contains the text and logo elements you are required to include in any product published under the Cypher System Creator program. You are licensed to use this template for products published under the Cypher System Creator program. You are not licensed to use the template for any other purpose. All art is copyright and owned by Monte Cook Games, LLC. There is also an official template for Microsoft Word. The explanation above states that the file contains "text and logo elements...", note that the file contains no usable logo elements or any usable imagery.